The idea for 4e Winery grew out of a passion by wine maker Greg Cook to craft quality wines from pure northern prairie ingredients. Greg has been an avid home wine maker since 2000. Quality products, born of the northern prairie, kissed by the sun, nourished by the flowing rivers and brought to life by prairie breezes are the foundation of 4e Wines. Pasteur Mudende, born in Kigali, RW, runs Chai Moto and is a happily flourishing transplant in Fargo ND. Pasteur is a visual artist and likes to think of himself as a builder, a thinker in action and a doer of all. He believes that we all deserve an opportunity to relax, enjoy human connection and create personal relationships. Chai Moto is his way of sharing an uplifting cup of tea with the community and contribute to that endeavor. 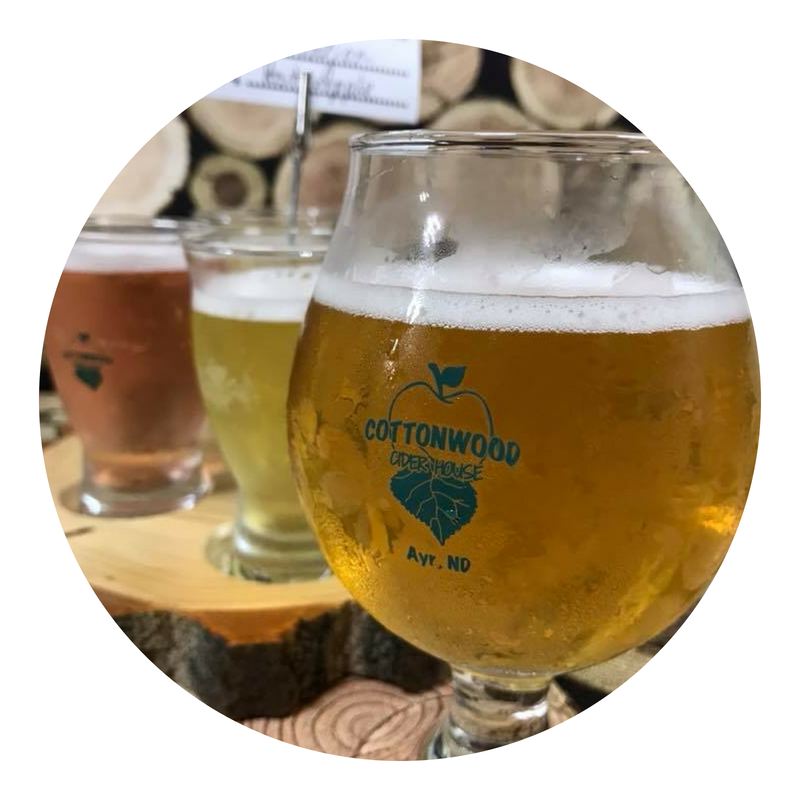 Cottonwood Cider House, located near Ayr, ND makes its' hard cider from apples grown for them by Cottonwood Farm, which is a certified organic mixed fruit orchard also located near Ayr, ND. In addition to Cottonwood Farm apples, Cottonwood Cider House uses locally sourced apples, berries, and hops to create their craft hard cider. Cottonwood Cider House's ciders range from dry to semi-sweet. Drekker Brewing Company is a craft brewery and taproom located in the heart of Downtown Fargo. Red River Market visitors can sample their beers and purchase a growler or howler to enjoy at home. 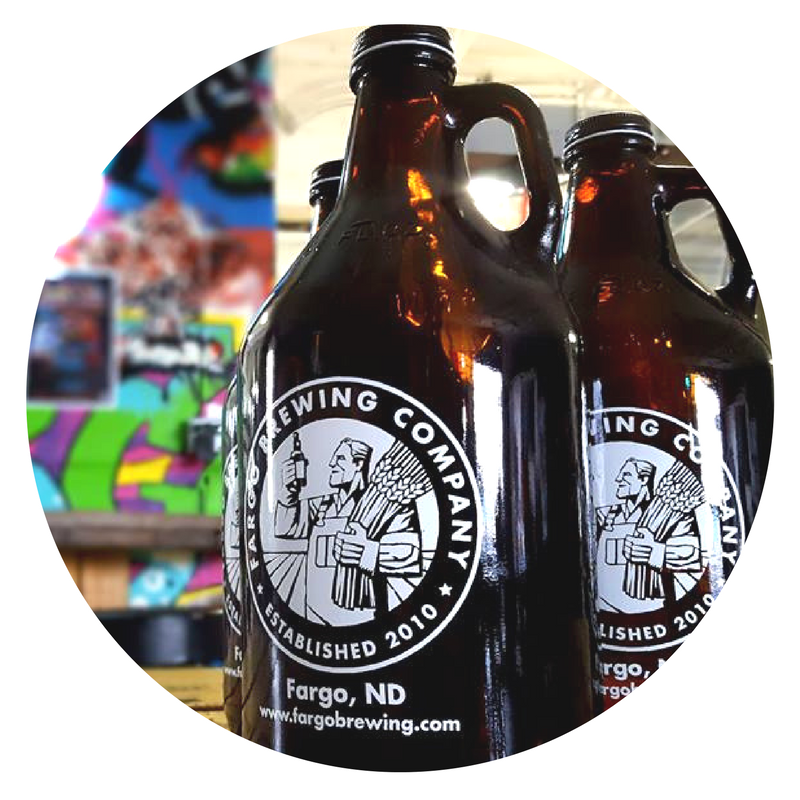 Fargo Brewing Company is North Dakota's largest and oldest operating brewery. It was founded in 2010 by Jared Hardy, Aaron Hill, Chris Anderson, and John Anderson. Driven by a desire to bring craft beer to North Dakota, the Fargo natives used their experiences in the Pacific Northwest to launch the company. Fargo Brewing currently distributes beer throughout all of North Dakota, South Dakota, and portions of Minnesota and Wisconsin. Flannel Fizz makes incredible Tonic & Soda with real ingredients. High quality, fresh ingredients, make a difference you can taste from the first sip to the last. Prairie Rose is Fargo’s first meadery. Prairie Rose Meadery is owned and operated by Susan and Bob Ruud. In 2013 they won the gold medal in the traditional mead category at the National Homebrew competition. Their goal is to blend their love of North Dakota and their love of Mead to give customers an aroma and palate sensation like no other. Proof Artisan Distillers produces vodka, gin, whiskey, bourbon and liqueurs from local products: potatoes, barley and corn. Their high quality, local presence and great value have made them wildly accepted across the region. Their spirits are now available in more than 200 locations across North Dakota and the lakes country of Minnesota. Steep Me A Cup of Tea is a local mom and pop beverage location selling their own teas and infusions. They can make you a hot drinks, cold drinks, bubble teas and sell you the same tea to take home with you. Stumbeano's Coffee Roaster and Coffee Bar is focused on the quality of their coffee from the bean to cup. Owner, Greg Stumbo roasts all of the beans for the market and his Downtown Fargo shop in Fergus Falls, MN. At Thunder Coffee we believe "everyone deserves great coffee." We provide the FM area with mobile coffee services that include pop-ups, shared space, catering and special events. Our goal is to foster vibrant relationships and community through delicious cups of coffee. We find great joy in serving our customers and sharing our love of coffee with anyone who wants to learn more. 20 Below Coffee is driven by a passion for quality coffee, strengthening community and seeking the welfare of their customers and city. Beans are locally roasted and brewed in their Downtown Fargo shop on Roberts Street. All of the kombucha at Wild Terra is brewed in small 5 gallon batches, this allows them to closely evaluate the quality and taste of every batch daily. The tea blends used (including black, green and oolong) were developed after many test batches to capture their perfectly balanced Wild Terra profile. The scoby mothers are helped along with lots of good vibes and 60’s music while they brew, and the occasional break out dancing, For their infusions they use handcrafted recipes that utilize all that this wild earth gives us including, herbs, florals, fruits and spices.